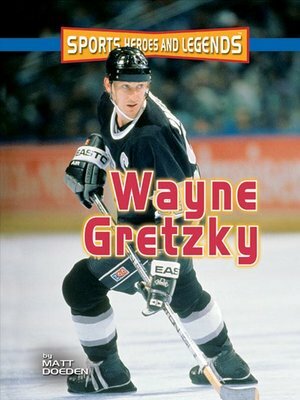 Think you know all there is to know about Wayne Gretzky? Well, did you know that: He started playing hockey professionally at age seventeen? He scored at least one goal in each of the first fifty-one games of the 1983–1984 hockey season? He holds the NHL record for most career regular-season assists, with 1,963?Canada native Wayne Gretzky grew up surrounded by hockey. He joined his first hockey team at age six and spent most of his childhood playing against kids who were much older—and bigger—than he was. When Wayne joined the Edmonton Oilers in 1979, critics said he was too small to succeed. But Wayne proved everyone wrong. Read all about how this scrappy kid became the greatest hockey player of all time.